I can hardly believe the holidays are over and we’re already going strong into 2015! Since many of us (myself included!) are gearing up to declutter our houses and get more organized this month, I thought it’d be fun to give you a list of FREE organizational resources! 1) If you’re feeling overwhelmed about your clutter and aren’t sure how to begin, then you absolutely must check out my Get Organized challenge! I offer free personalized advice, fun rewards, and have even more awesome stuff coming up in 2015 (details will be forthcoming later this month!) Read my story here, go here to see readers’ messes, and view the success stories here. 3) I have a FREE eBook for my blog subscribers titled, 101 Time-Saving Tips for Busy Moms. But hurry because this deal is going away at the end of January! 4) Alli at the Scattered Squirrel offers great tips about creating a planner that works for you. 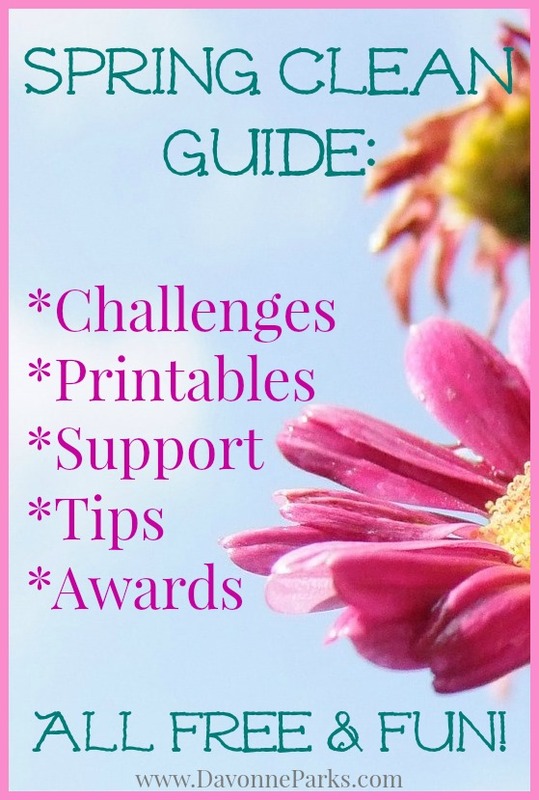 5) Crystal from Money Saving Mom compiled a fantastic list of 15 FREE Goal-Setting & Home Management printables for this year. 6) Crystal from Money Saving Mom also compiled a list of 5 free budgeting resources for 2015. 7) Clean Mama has a great #ClutterFree30 challenge on Instagram right now! 9) 21 Days to a More Clutter-Free YOU Challenge by Kathi Lipp. This challenge looks absolutely incredible! 10) Podcasts to Listen to While You Declutter from Nony at A Slob Comes Clean. I love this site and cannot wait to listen to her podcasts! 12) How I Decluttered My Entire House in Six Days. This is a post I wrote last year, and it was the 2nd most popular article on my blog in 2014! 13) My entire 2015 home declutter, starting here. My goal is to be done before the end of the month! Join me? 14) I love Hilda’s 31 Days of Organizing Tips on Overwhelmed to Organized – definitely take a look at her fabulous ideas! 1) The Family Resolution Revolution – Valued at over $820, this fabulous deal is only available through 11:59PM EST on Sunday, January 4th, 2015, so hurry fast before it’s gone! 2) 28 Days to Timeliness: Tips and Confessions from a Semi-Reformed Late Person – my first eBook is all about managing your schedule so you can be on time! 3) Chaos to Clutter Free: 16 Realistic Steps to an Organized Home – my most recent release is perfect for helping you declutter your entire house from top to bottom. 4) 18 eBooks to Start Your New Year off Right by Money Saving Mom. Crystal has some great suggestions on here and I’m thrilled that one of my books made her list! If you know of a great 2015 FREE organizational resource that I missed, then let me know in the comments or e-mail me – I’d love to add it to this list!